Made another trip to Publika last week. It was a belated birthday treat by my frend Isaac. 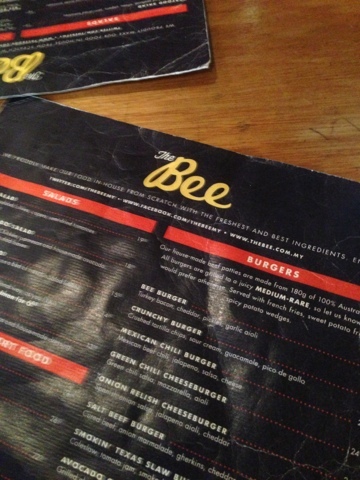 After walking around Publika, we settled at The Bee. I've heard about this place before, but since I'm STILL new to Publika, I have yet to see what The Bee has to offer. Both of us decided to have the burgers! 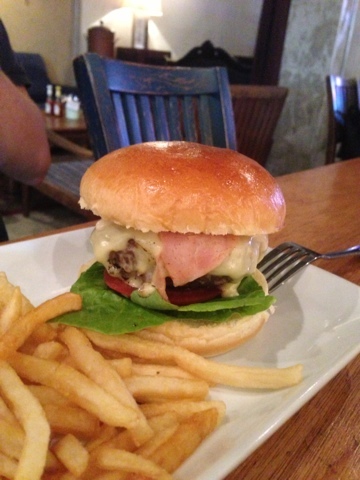 As stated in the menu, the beef patties are made from 180g of 100% Australian beef! There were several choices available...so let's take a look which burger we had. 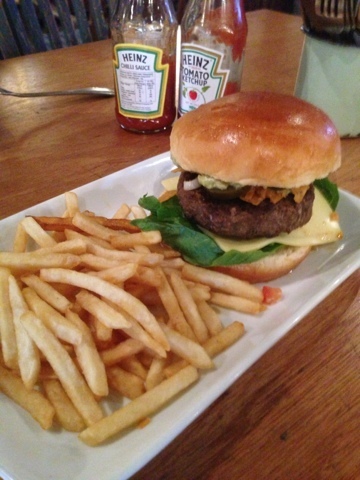 Love your burgers and looking for a different options - then do give The Bee a visit!